Paper Assets Have Dominated For A Decade. It’s Time for Change! Paper financial assets have done well since late 2008 (bonds) and early 2009 (stocks). 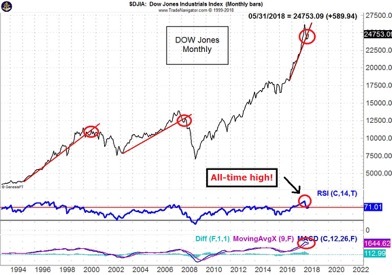 The DOW and S&P 500 Index hit all-time highs in January 2018. The NASDAQ 100 reached its all-time high in March 2018. Example: Amazon stock sold for less than $35 in 2008 and recently passed $1,600 per share. 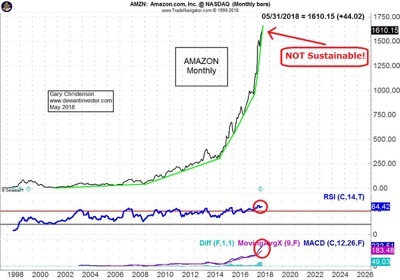 I realize that Amazon has almost taken over the world, but is the stock worth 262 times earnings? 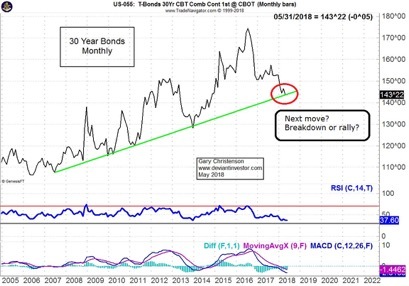 Thirty-year bonds peaked almost two years ago in July 2016. The Federal Reserve, Bank of Japan and European Central Bank created trillions of dollars, yen, and euros. 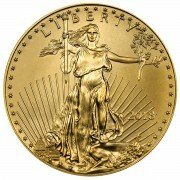 However, banks can’t create crude oil, gold or silver. Much of that newly created currency poured into stocks and bonds. The financial and political elite cheered the increases in their paper wealth. 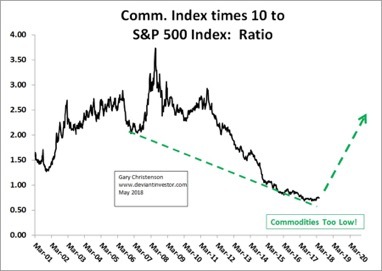 Commodities, including gold and silver, have been unexciting for seven to ten years compared to the shocking rises in many stocks and crypto currencies. Crude Oil bottomed in January 2016 at $27.56, up 146% from low. The XAU Gold Stock Index bottomed in January 2016, up 117% from low. CRY Commodity Index bottomed in January 2016, up 31% from low. Gold bottomed in December 2015, up 25% from low. 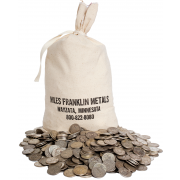 Silver bottomed in December 2015, up 21% from low. The ratios show financial assets gained over tangible assets for the last seven to ten years. Ratios of tangible assets to stock indices are near multi-decade lows. Those ratios tell us relative strength in commodities is coming along with weakness in stocks. When? Ask the High-Frequency-Traders and the central banks when they’ll push commodity prices upward. The financial assets rally has persisted longer than most people dreamed. But end it must. Not all stocks enjoyed the injection of trillions of currency units into the financial system. The XAU index of gold stocks has been weak for over two decades. 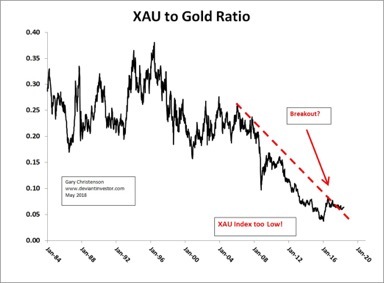 The XAU to gold ratio has declined since 1996, but might break out in 2018. SILVER AND GOLD BUY ZONES! 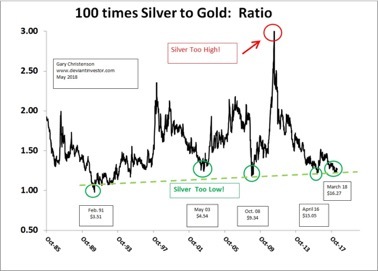 The silver to gold ratio is a long-term predictor of buy zones for metals, especially silver. 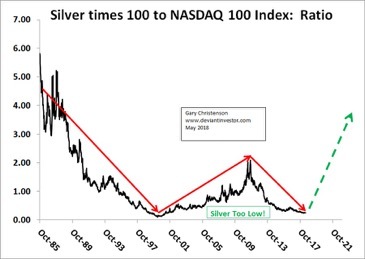 Silver prices bottom when the ratio is low, as it is in now. 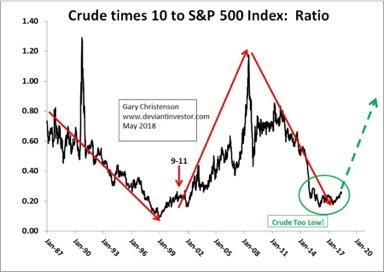 On average silver and crude oil prices move higher together, and both are low in 2018 compared to stock indices. 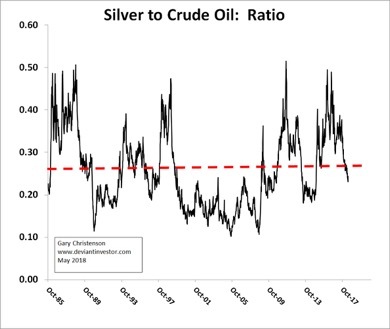 Silver and crude oil should rise during the next decade. Yes, gasoline prices will also rise. The Federal Reserve and Treasury will create nearly unlimited quantities of digital dollars, Treasury Notes and Bonds. 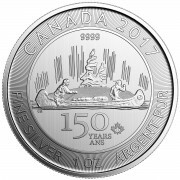 Miners extract a small amount of silver and gold from the earth. Large deposits of ore are difficult to locate. 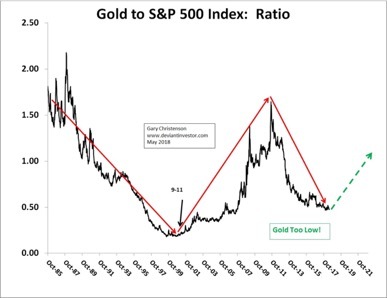 If dollars and debt are practically unlimited while silver and gold are rare and difficult to mine, will prices for bonds, dollars or metals increase more? 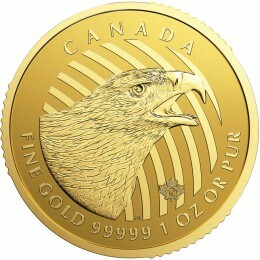 Given the ever-increasing debt, over-priced financial assets, expanding supply of digital currency units, limited supply of gold and silver, and nonsense in the economics profession, would you prefer to own an over-priced stock index fund or tangible silver and gold under your personal control? Commodities will rally and silver and gold will soar—perhaps not next week—but sooner rather than later. The Federal Reserve can inject liquidity … or … let the financial system crash.